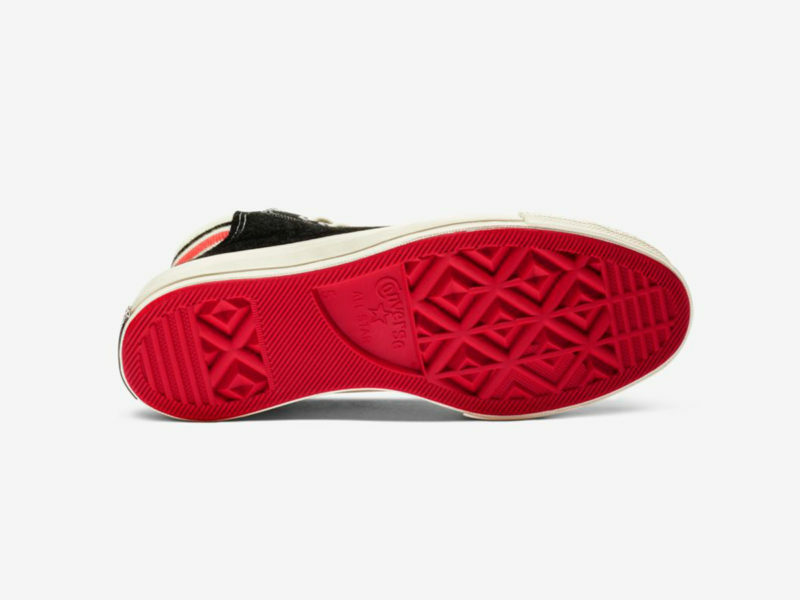 A dash of retro flavor mixed with modern updates for athletic support. 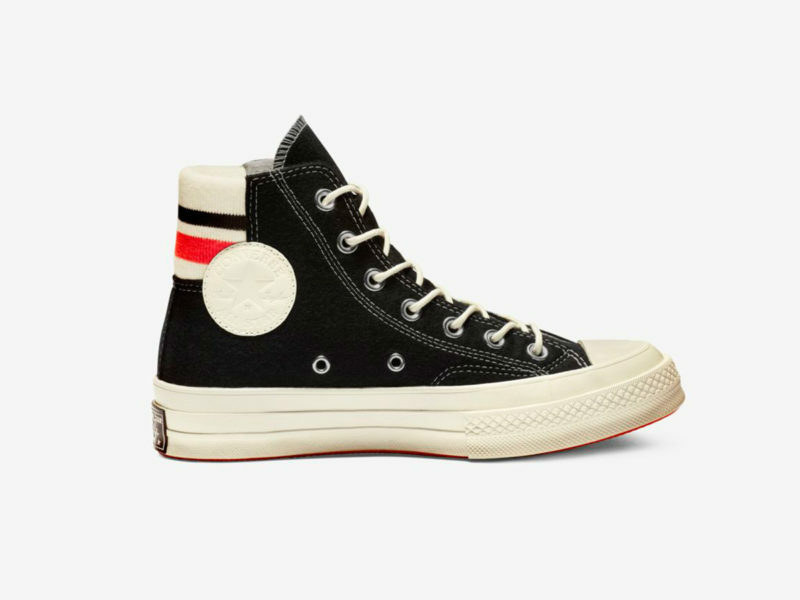 In a very real sense, the Converse Chuck Taylor had become the basketball shoe by the turn of the 1970s. 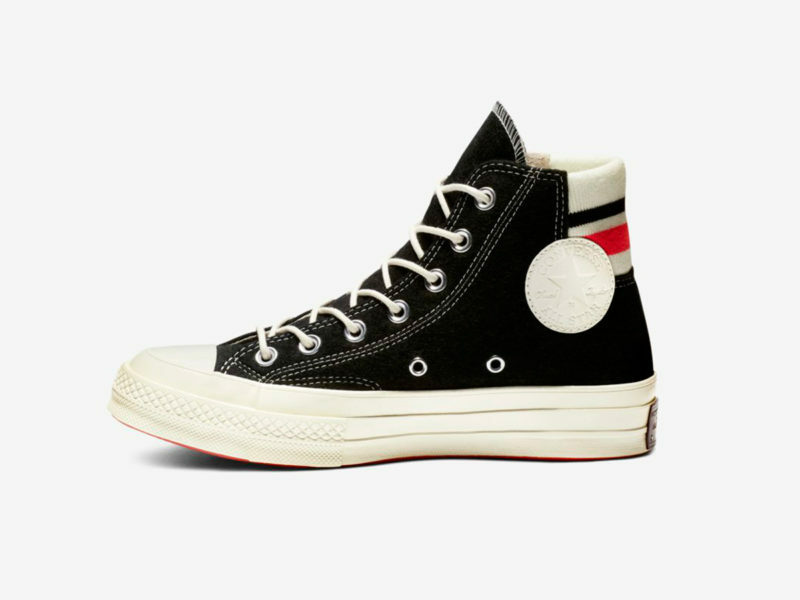 And the shoe’s influence the worlds of both designer and consumer fashion has lingered ever since. 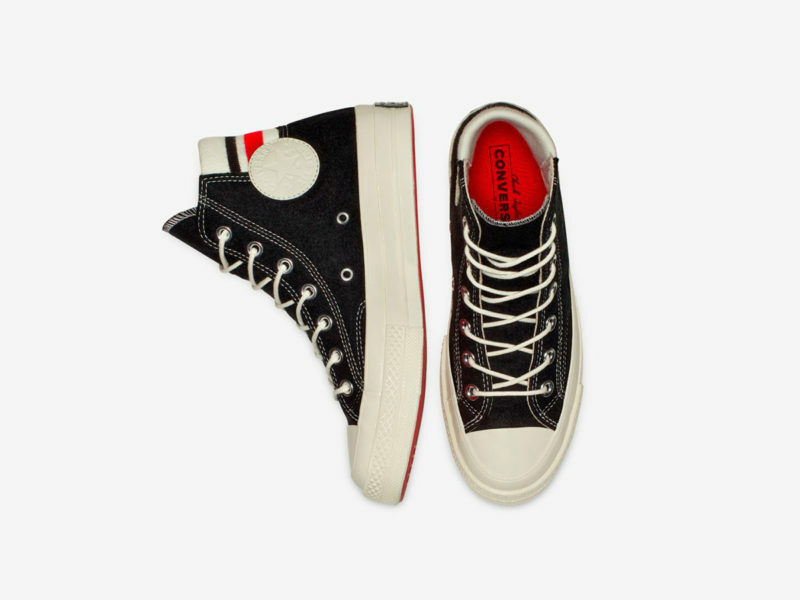 To honor the iconic 1970 Chuck design, Converse has duplicated the shoe’s original color combinations and slim silhouette for the Chuck 70 Retro Stripe High Top. 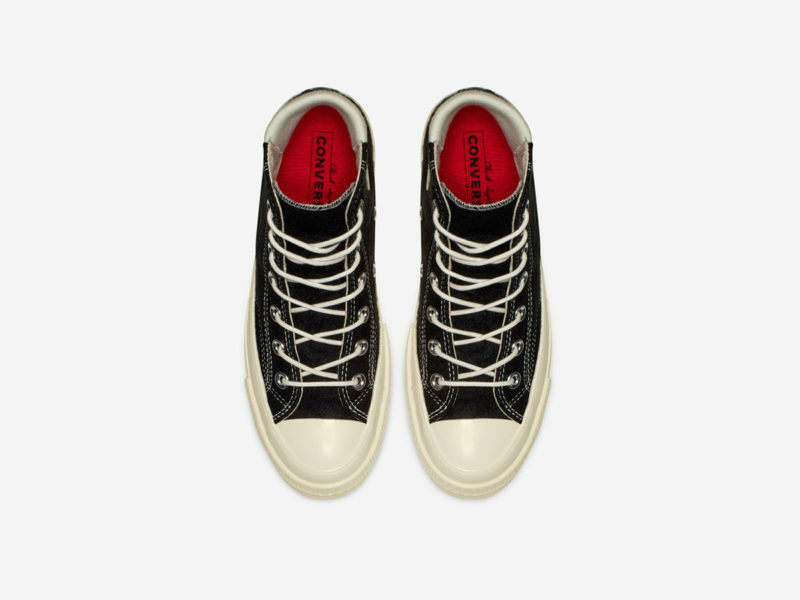 Finishing touches, such as round rope laces interwoven through vintage silver eyelets, make all the difference. 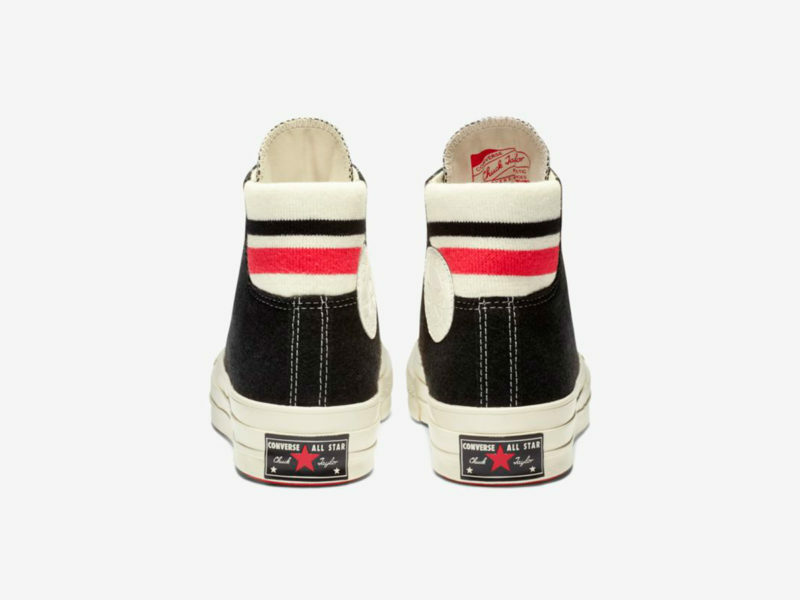 The design even incorporates a retro striped athletic sock that surrounds the upper ankle for added comfort and an extra dash of 1970s flavor. 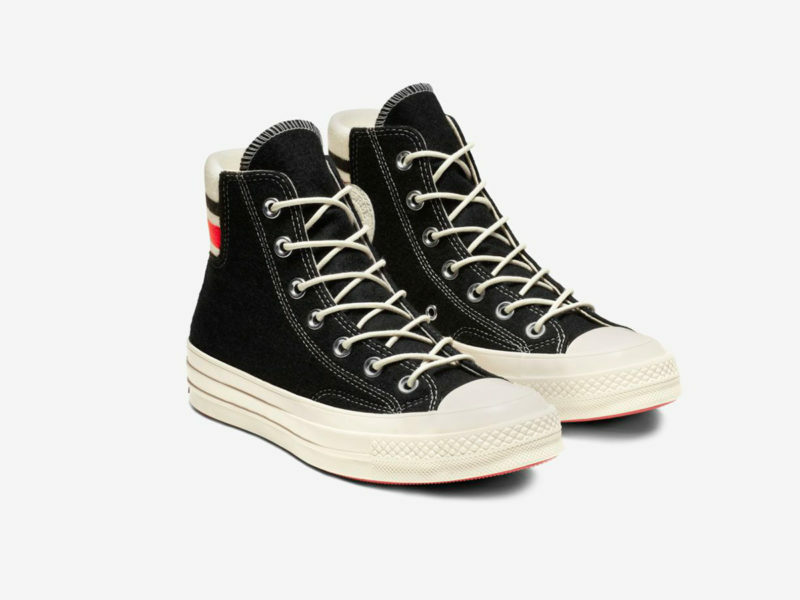 But unlike the Chuck Taylor of yesteryear, the Chuck 70 Retro Stripe High Top offers athletic support that only comes with modern updates, such an ankle-hugging ribbed fabric heel and extra cushioning in strategic areas.